Following a recent $25 million top-to-bottom transformation, Lincolnshire Marriott Resort is gearing-up for spring by announcing spring break getaway specials, opening day at Crane’s Landing golf course, Bourbon and Bonfires, Easter brunch, al fresco dining, Footloose the Musical and more. Just a short drive from downtown Chicago, the resort features two unique restaurants – Three Embers and Wright’s Brew & Bistro, as well as a luxurious day spa, The Spa at Lincolnshire. Lincolnshire Marriott Resort announces spring break getaway specials, opening day at Crane’s Landing golf course, Bourbon and Bonfires, Easter brunch, al fresco dining, Footloose the Musical and more. Spring Weekend Escape Rates: During spring break, Lincolnshire Marriott Resort offers special weekend rates starting as low as $115 per night now through Apr. 21. Overnight stays include deluxe guest room accommodations, complimentary Wi-Fi, early check-in, and 2:00 p.m. checkout based on availability. Golf Opens Mon., Apr. 1: Crane’s Landing golf course celebrates opening month with a $25 weekday rate, which includes a cart rental starting Apr.1 through Apr. 30. Membership packages and group outings are also available. Bourbon and Bonfires Is Back: Lincolnshire Marriott Resort is relighting its patio firepits and firetable overlooking Lake Lincolnshire, and serving bourbon flights with paired bites for $45 per person. 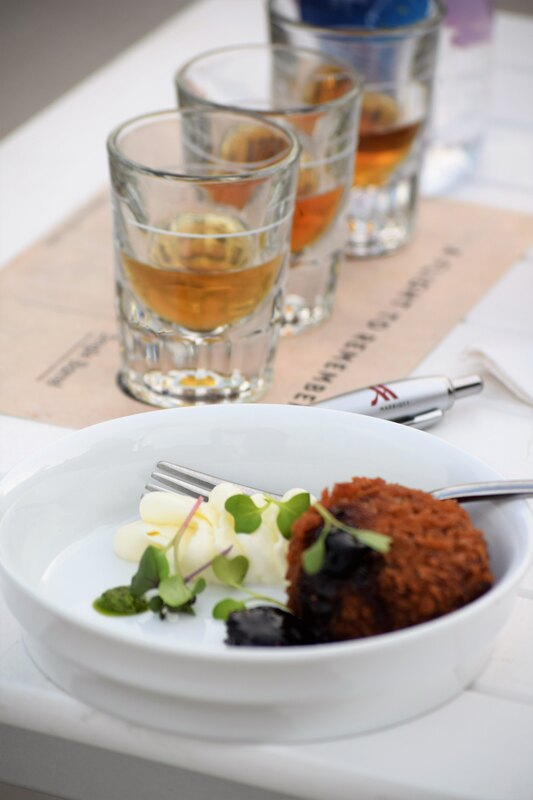 During Bourbon and Bonfires, attendees kick back, relax and enjoy smooth bourbon and small plates from Three Embers restaurant. Event dates include: Wed., Apr. 3, Wed., June 19, and Wed., Oct. 23. Easter Brunch Sun., Apr. 21: The resort welcomes back the Easter Bunny during its holiday Easter brunch. Hosted in the iconic Grand Marquee Pavilion, this year’s brunch features a variety of gourmet pastas, seafood bar, traditional breakfasts plates, carving stations, sweet treats, salads and simple favorites for children. Priced at $48 per person for adults and $22 for children 12 and under (exclusive of tax and gratuity), reservations are being taken for five different seating times between 10:00 a.m. and 2:00 pm. Each seating will include a special visit from the Easter Bunny as well as a photo opportunity. Outdoor Dining & Spring Menu Launch: Three Embers restaurant launches its spring menu on Apr. 9. Diners can enjoy a wide range of new wood fired specialties including seasonal vegetables inspired by the two-acre on-site farm. Al fresco dining also begins on the outside dining patio. Footloose the Musical Apr. 10 through June 2: Based on the hit film, and the true story of Elmore City, OK, which banned dancing for 90 years, Footloose the Musical returns to the Marriott Theatre. Packed with a top-ten hit score like “Almost Paradise,” “Let’s Hear It for the Boy,” “Holding Out for a Hero,” and “Footloose,” springtime resort guests are sure to enjoy this popular show. Live Like a Local: Lincolnshire Marriott Resort is helping guests navigate Chicagoland during their spring getaway by showcasing some of the best activities the area has to offer. From the Chicago Botanic Garden, to North Shore restaurants, to Magnificent Mile exploring and beyond, Lincolnshire Marriott Resort has outlined on their website an exciting example of activities that everyone can enjoy during their stay. For more information about Lincolnshire Marriott Resort, upcoming events, or to make a reservation, guests can contact the resort at 1-847-634-0100 or visit http://www.chicagomarriottlincolnshire.com. Following a recent $25 million top-to-bottom transformation, Lincolnshire Marriott Resort is a welcoming resort in Chicago’s North Shore area for business retreats, family vacations, and romantic weekends. Just a short drive from downtown Chicago and O’Hare International Airport, the hotel features 389 guest rooms and suites as well as two unique restaurants – Three Embers and Wright’s Brew & Bistro, as well as a luxurious day spa, The Spa at Lincolnshire. In addition to its’ 40,000 square feet of meeting and event space, the resort is also home to the highly acclaimed Marriott Theatre, which has been performing some of the region’s best live musical theatre for over 40 years. Guests seeking recreation options have access to the resort’s PGA golf course Crane’s Landing, tennis center, and two pools. In addition, the Des Plaines River Trail runs alongside the resort, extending 37 miles to Wisconsin, making it an ideal setting for hiking, biking, and horseback riding. During Bourbon and Bonfires, attendees kick back, relax and enjoy smooth bourbon and small plates from Three Embers restaurant. Event dates include: Wed., Apr. 3, Wed., June 19, and Wed., Oct. 23. Diners can enjoy a wide range of new wood fired specialties including seasonal vegetables inspired by the two-acre on-site farm. Al fresco dining also begins on the outside dining patio. 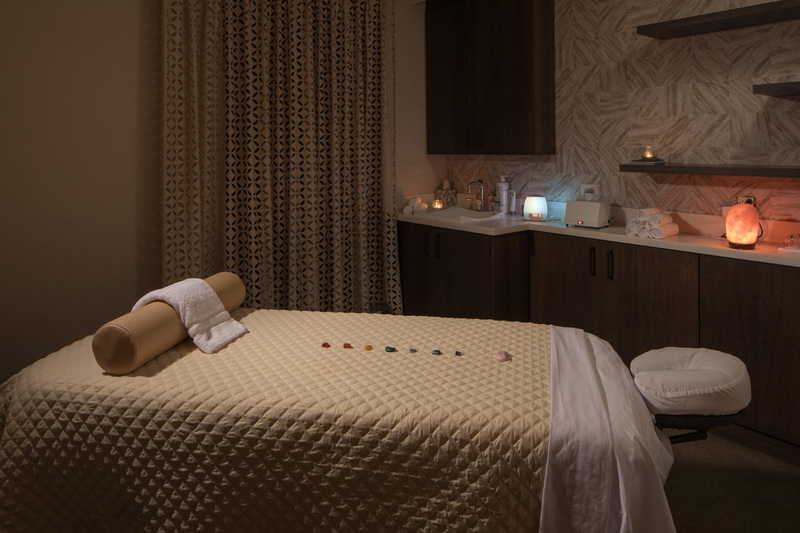 The Spa at Lincolnshire is a luxurious day spa and welcome escape for guests.